Katherine Legge, a native of Guildford, United Kingdom, currently competes for Meyer Shank Racing in the GTD class in IMSA. Her resume includes experience in Formula 3, Formula Renault, a Formula One test, Champ Car, Indy car, A1GP, DTM, Formula E and currently sports car racing. 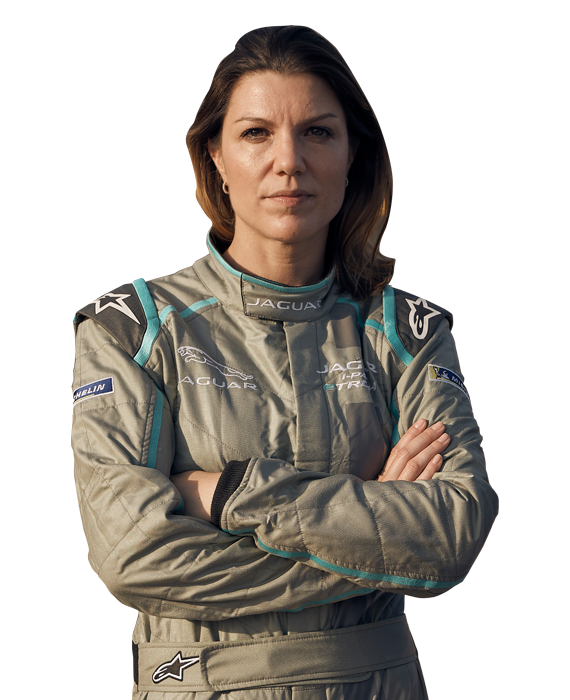 Legge was the first woman to win pole in a Zetec race in 2000. One year later she won BRDC’s “Rising Star” award. In November 2005 she became the first woman to test a Formula One car since Sarah Fisher in 2002. Legge competed in the Toyota Atlantic Championship in 2005, winning the series opener in Long Beach in her first career start to become the first woman to win a developmental open wheel race in North America. She finishes the 2005 Atlantic season third in the championship with three wins and five podiums. She moved up to PKV Racing in Champ Car in 2006 and became the first woman to lead a lap in that series when she led Lap 12 at Milwaukee and went on to earn an Indy car career best finish there of sixth there but later her season was cut short by a massive crash at Road America. She competed for Dale Coyne Racing in 2007 and matched her best series finish of sixth at Long Beach and earned her best Indy car start of eighth, twice, before returning to Europe to compete in the DTM touring car series from 2008-2010 where she was an Audi factory driver. After a one-year hiatus from racing, she joined Dragon Racing’s IndyCar Series team in 2012 but a short-lived Lotus program led to the team only being able to secure one Chevrolet engine for two drivers and Legge only competed on oval tracks. She moved to the Delta Wing sports car program from 2013-2015 and also competed in two Formula E races with Amlin Aguri in the 2014/2015 season and has been with Meyer Shank Racing since 2017 in a factory-backed Acura GTD program and has earned three wins and seven podium finishes over the two seasons to date.